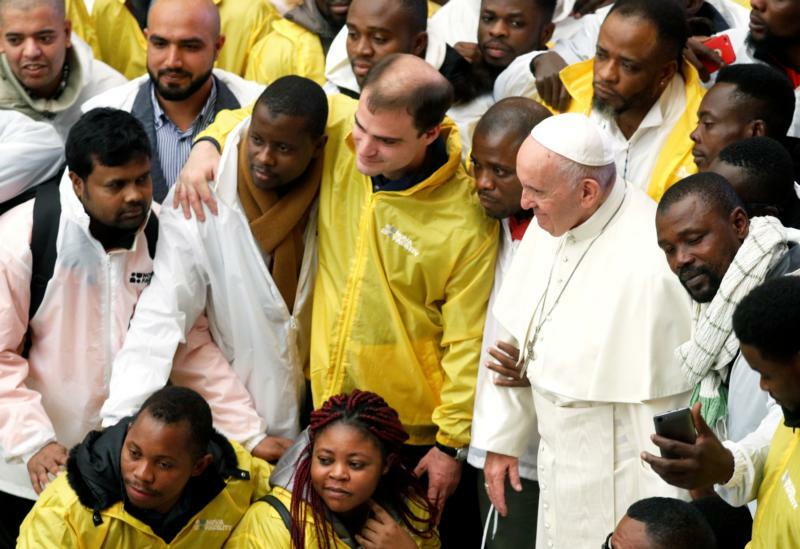 VATICAN CITY (CNS) — Welcoming the finalization of global compacts on migration and on refugees, the Vatican urged nations to adopt the nonbinding agreements to protect people who are on the move and to promote their orderly acceptance in new countries. “Greater cooperation and responsibility sharing are important themes running through both compacts,” said a statement Dec. 6 from the Vatican’s Migration and Refugees Section. In anticipation of the adoption Dec. 10-11 of the Global Compact for Safe, Orderly and Regular Migration, the Vatican noted, however, that it had registered some “reservations and comments” on references in the compact to “the so-­called ‘Minimum Initial Service Package,'” which includes the distribution of condoms, and to “sexual and reproductive health services,” which could include abortion. The global compact offers “a menu or a toolkit of actions that states — and other actors — can choose to do internally, bilaterally and even regionally, depending on their circumstances and needs,” the Vatican statement said. While not a treaty or obligatory set of actions, the compact on migration “expresses many universal values as objectives ­­ for example, to save lives, prevent smuggling and trafficking, provide accurate information, facilitate fair recruitment, reduce vulnerabilities in migration, manage borders well and invest in skills development,” the Vatican said. In a statement Dec. 7, Jesuit Father Thomas H. Smolich, director of Jesuit Refugee Service, said his organization “regrets” that some countries have withdrawn from the compact discussions and will not sign them. “We call on the global community to accompany all vulnerable people on the move, to provide for their basic needs, and to cooperate in the privileged task of giving them hope, starting by unanimously approving both global compacts,” Father Smolich said.